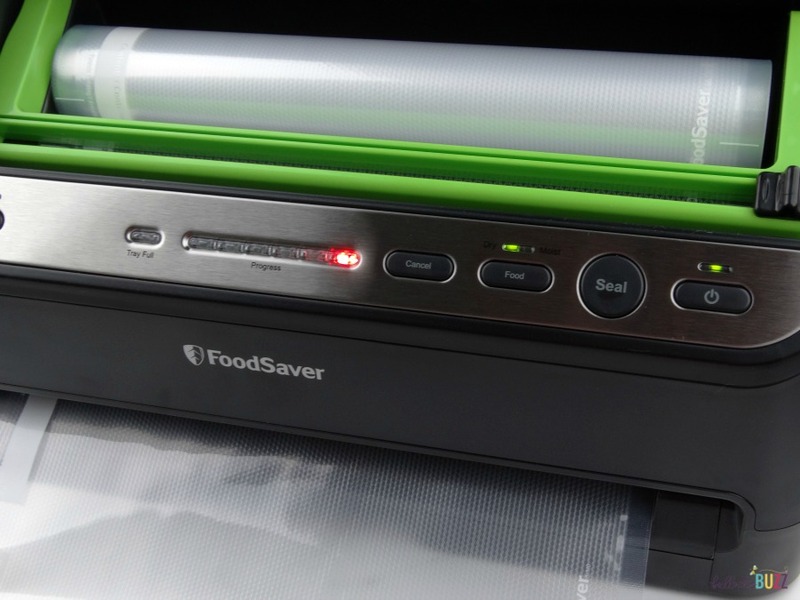 Hover over the image above to purchase your own FoodSaver® V4440 2-in-1 Automatic Vacuum Sealing System and FoodSaver® 3PK. 11″ Vacuum Seal Rolls! I began cooking sous-vide several years ago, and I am still thrilled every time I pull out perfectly cooked steak, chicken, seafood or vegetables. While the name may make it sound super fancy and difficult, the sous vide method is actually pretty easy. You simply seal seasoned or marinated food in an air-tight bag, then place it in temperature-controlled water to cook for a particular amount of time. The result? Tender, juicy and flavorful food that is true perfection. In fact, the sous vide technique is often used by many high-end restaurants to get their foods tender and perfectly cooked. The sous-vide cooking technique produces results that are pretty much impossible to achieve through any other cooking method – especially with meats. For one thing, the food doesn’t come in contact with any smoke, steam, flames or hot metal used in other cooking methods that allow for temperature fluctuations. Since the food won’t get any hotter than the temperature of the water bath it’s in, the worry about overcooking is eliminated. Additionally, by cooking the food in a vacuum sealed bag, a humid environment is created braising the food and allowing it to retain its natural juices. The result is tender, juicy and flavorful food. In addition to accurate temperature control, keeping the food sealed in an airtight bag is key to cooking sous-vide. And vacuum sealing is the best way to keep the food as air tight as possible while cooking in a water bath. In fact, sous-vide actually means ‘under vacuum’ in French. 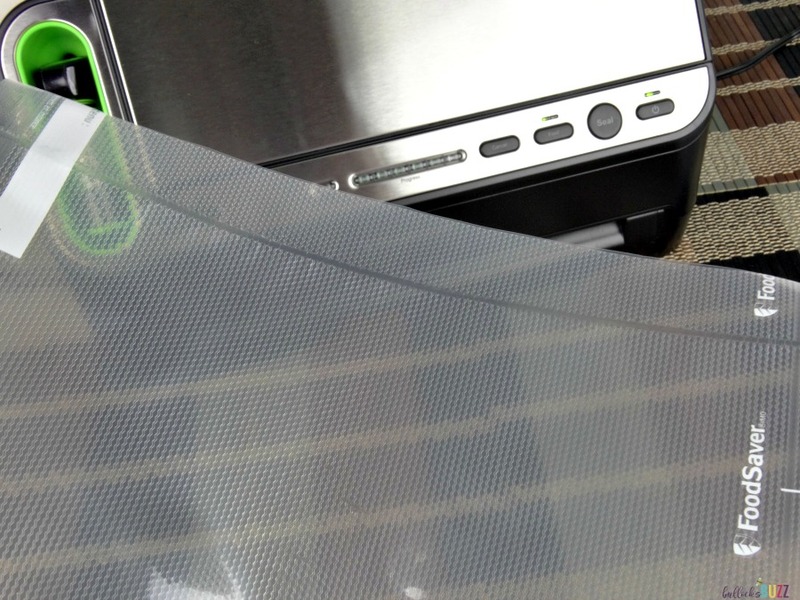 That’s where the FoodSaver® V4440 2-in-1 Automatic Vacuum Sealing System comes in. 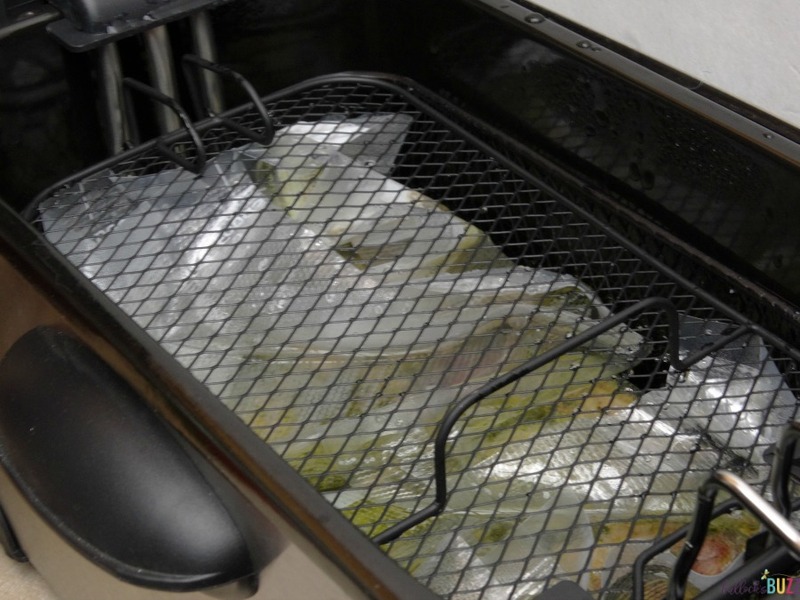 When I first started cooking sous-vide, I used zipper bags. While they worked alright, the FoodSaver® V4440 puts them to shame! This system quickly and easily creates an airtight seal to lock in freshness and protect food from spoiling – and that also makes it ideal for cooking sous-vide. 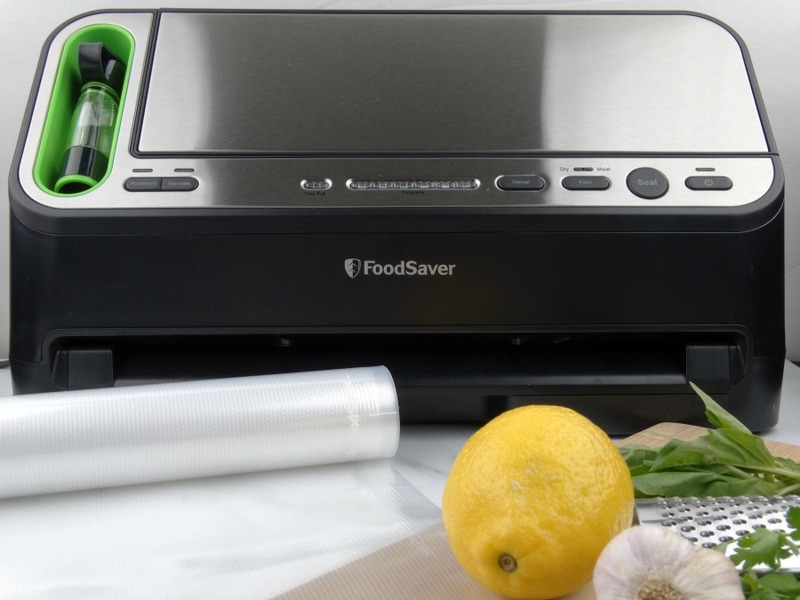 The FoodSaver® V4440 2-in-1 Automatic Vacuum Sealing System comes with pre-cut vacuum bags, resealable zipper bags and containers designed to work together with vacuum sealers for optimal performance. With their unique multi- layer construction, FoodSaver® Vacuum Seal Rolls and the bags are specifically designed to withstand boiling temperatures, prevent floating and help you get consistent sous-vide cooking results. This same construction also prevents hard items, such as bones, from puncturing or tearing the bag. 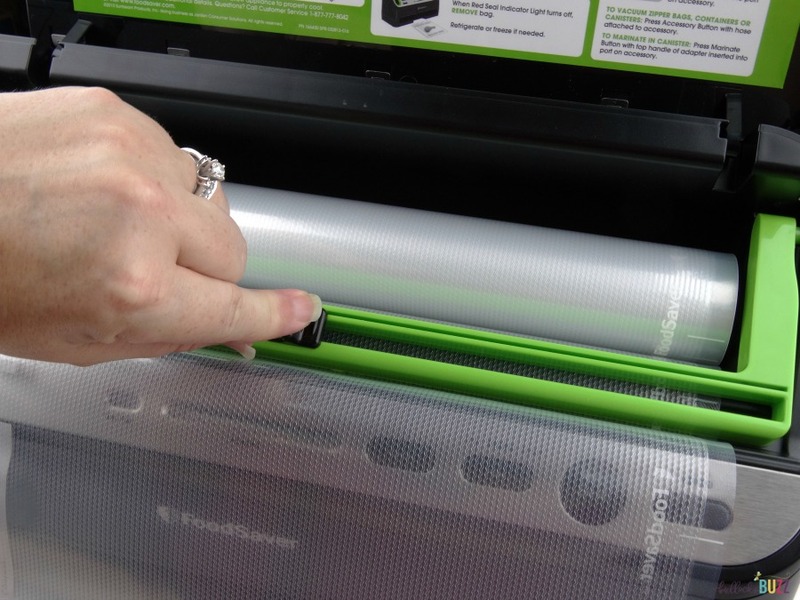 an Amazon Best Deal: 20% off FoodSaver® Vacuum Seal Rolls (click here). 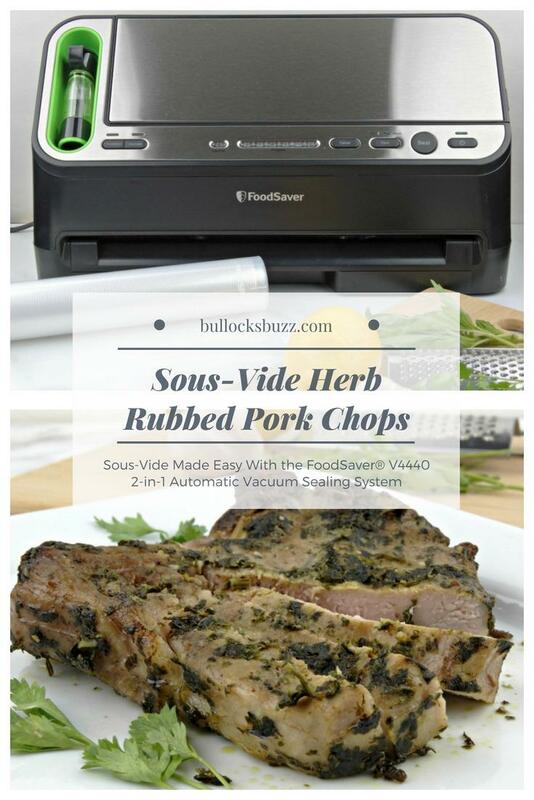 Cooking sous-vide is actually quite simple, and the FoodSaver® V4440 makes it even easier. 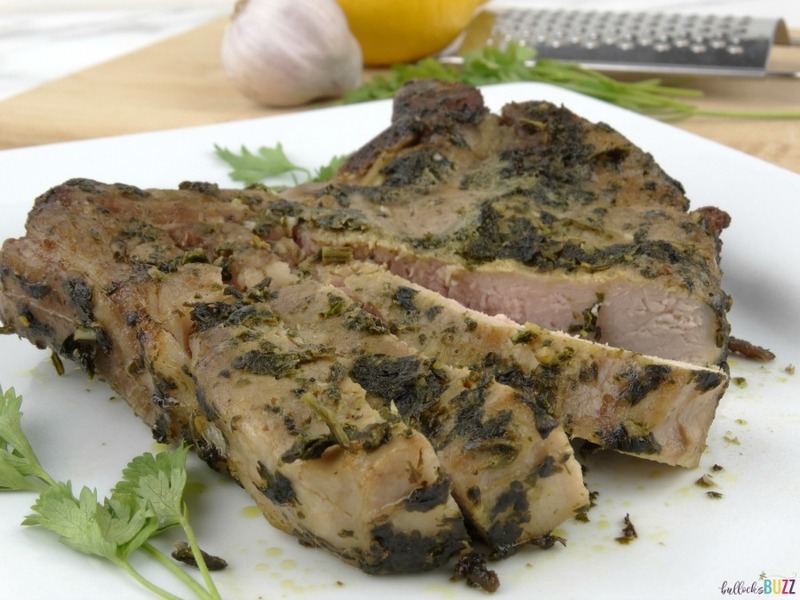 My Sous Vide Garlic-Basil Rubbed Pork Chops recipe is a great example of how easy it truly is! This recipe for Sous-Vide Garlic-Basil Rubbed Pork Chops creates some of the most tender and juicy chops you’ve ever tasted. And it’s the sous-vide cooking method that makes all the difference. The slow, precise cooking, followed by high heat, gives you perfectly even results for the juiciest pork chops ever! This recipe makes 2 pork chops, for more simply double or triple the ingredients. First, preheat your sous-vide cooker to 140 degrees F.
While the water is heating up, go ahead and make the rub. I highly recommend using fresh basil and garlic and fresh-squeezed lemon juice. 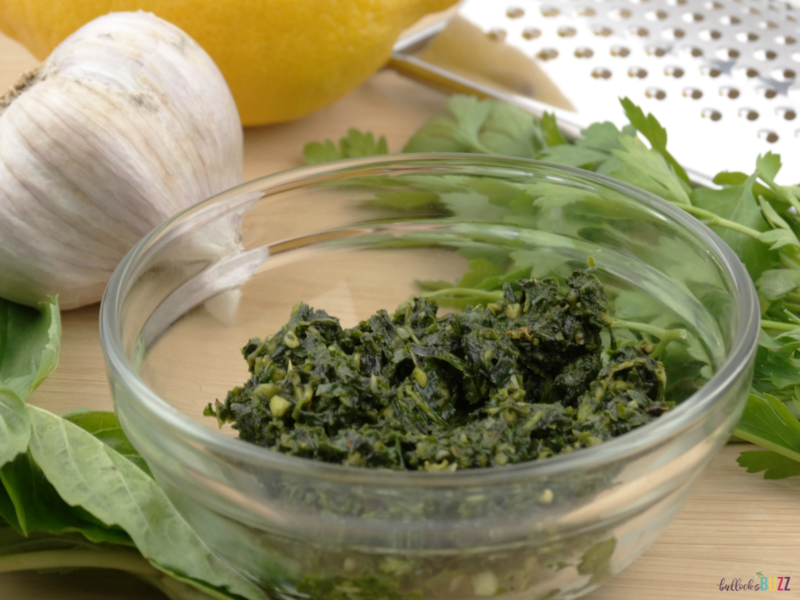 There’s just something about cooking with fresh herbs that makes it taste sooo good! I like to use those little containers of already chopped fresh basil, but you can use basil leaves, too. You just want to make sure the final measurement is 1/2 cup, chopped. 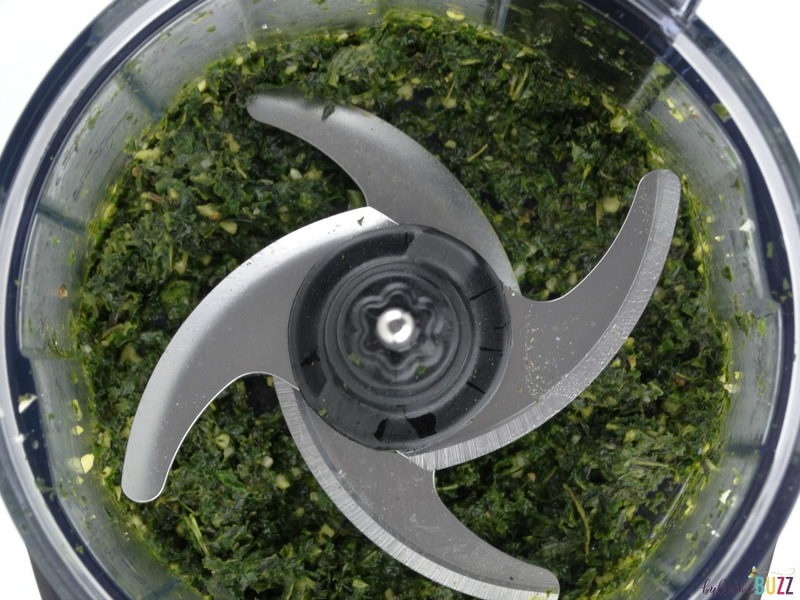 Place the garlic in the blender or food processor. Pulse a few times to mince. Next, add the basil and process until finely chopped and mixed with the garlic. Stop, then add in the lemon juice, EVOO, salt and pepper and process to make a thin, wet rub. Meanwhile, use the FoodSaver® V4440, make your airtight bag(s). 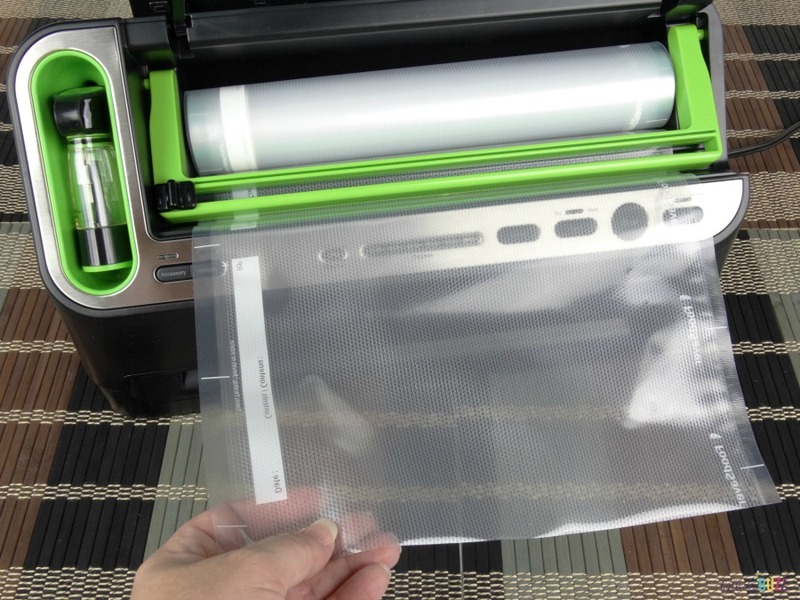 Using the FoodSaver® 3PK 11″ Vacuum Seal Rolls makes it easy to create any size bag you need. You simply pull on the roll until you reach your desired size. Then use the integrated sliding cutter to cut it off. You then place one open side of the bag into the machine and press ‘seal’. When the red light goes off, your bag is sealed! 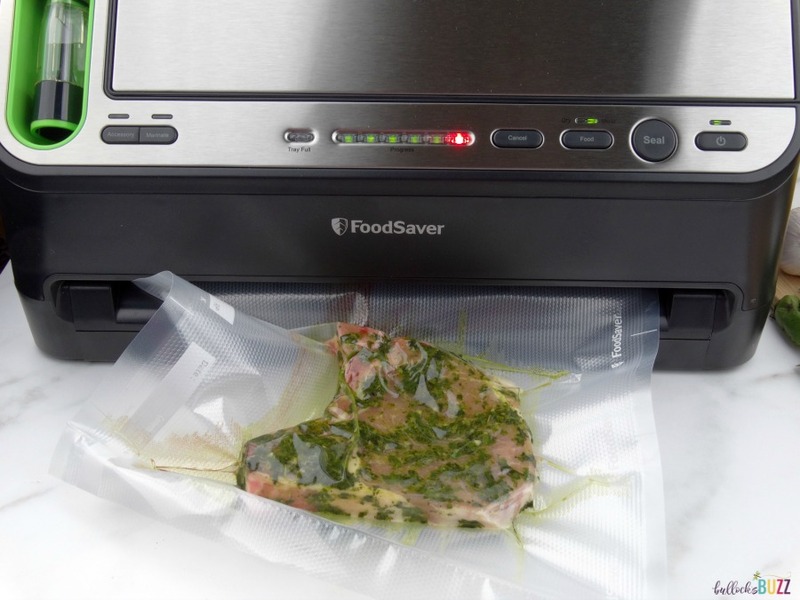 Next, place the pork chops into the sous-vide bag, and remove the air and seal the other side using the FoodSaver® V4440. Again, this is super simple. Just insert the open end of the bag back into the machine and push the start button. In just seconds it will efficiently remove all of the air from the bag, then seal it closed. 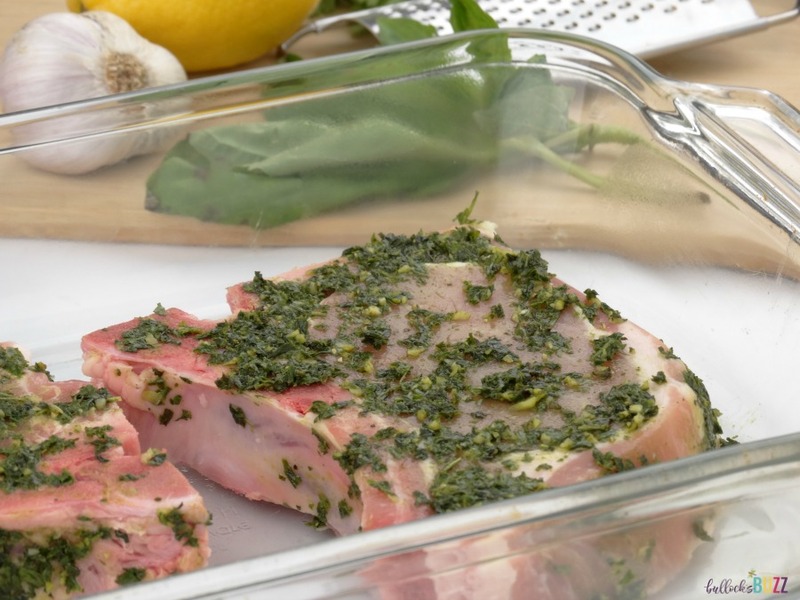 Now, place the sealed pork chops in your sous-vide cooker. Make sure the bags are completely submerged, then let the pork chops cook for about 2 hours. Sous-vide delivers tender and juicy chops, but I’ll be the first to admit they don’t look so pretty when you first remove the them from the bag. That’s where your broiler comes in. When there’s about 10 minutes left of cooking, set your oven to broil. Line a baking sheet with foil, then pour a small amount of olive oil and spread it around the sheet with the curved side of a spoon. 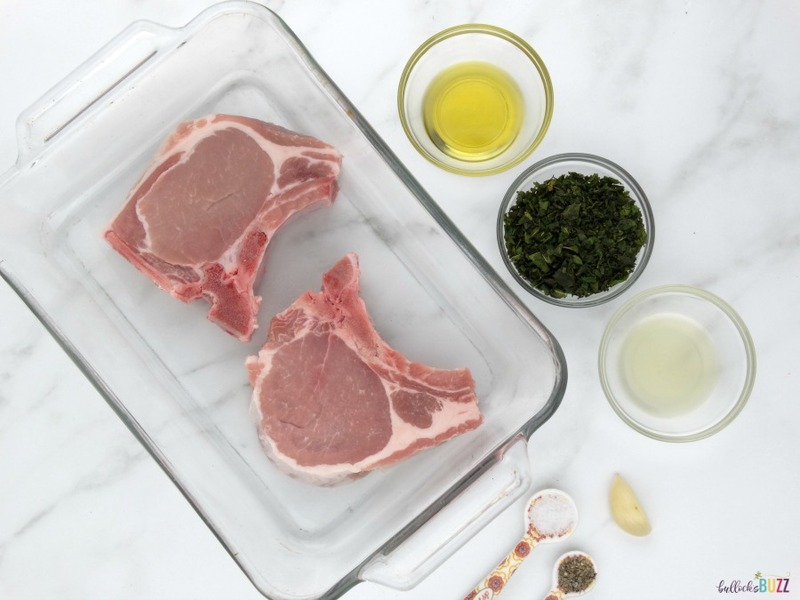 As soon as the sous-vide pork chops are finished, remove them from the bag, and place them on the baking sheet. Place the sheet in the oven and broil for about 3-4 minutes per side to lightly brown and crisp the outside of the pork chops. Be sure to watch carefully so they don’t burn! From there all that’s left is to plate them, serve and enjoy! Don’t they look tasty? This recipe for Sous-Vide Garlic-Basil Rubbed Pork Chops creates some of the most tender and juicy chops you’ve ever tasted. The slow, precise cooking of the sous vide technique, followed by high heat, gives you perfectly even results for the juiciest pork chops ever! To make the rub, place the garlic in the blender or food processor. Pulse a few times to mince. Next, add the basil and process until finely chopped and mixed with the garlic. Stop, then add in the lemon juice, EVOO, salt and pepper and process to make a thin, wet rub. 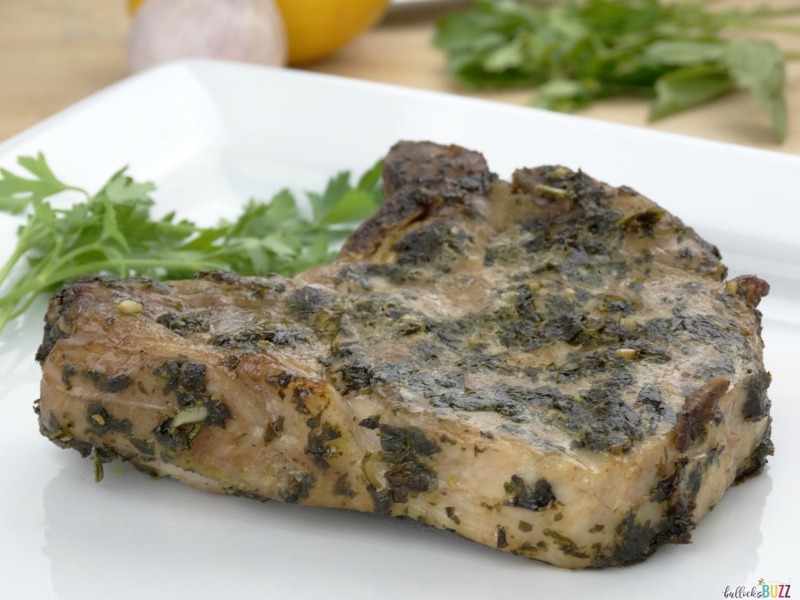 Spread both sides of pork chops with the garlic-basil mixture, then allow the seasoned pork chops to sit for about 20 minutes so the rub completely infuses the pork chops. Next, place the pork chops into the sous-vide bag, seal and cook for about 2 hours. When there's about 10 minutes left, go ahead and set your oven to broil. Line a baking sheet with foil, then pour a small amount of olive oil and spread it around the sheet with the curved side of a spoon. 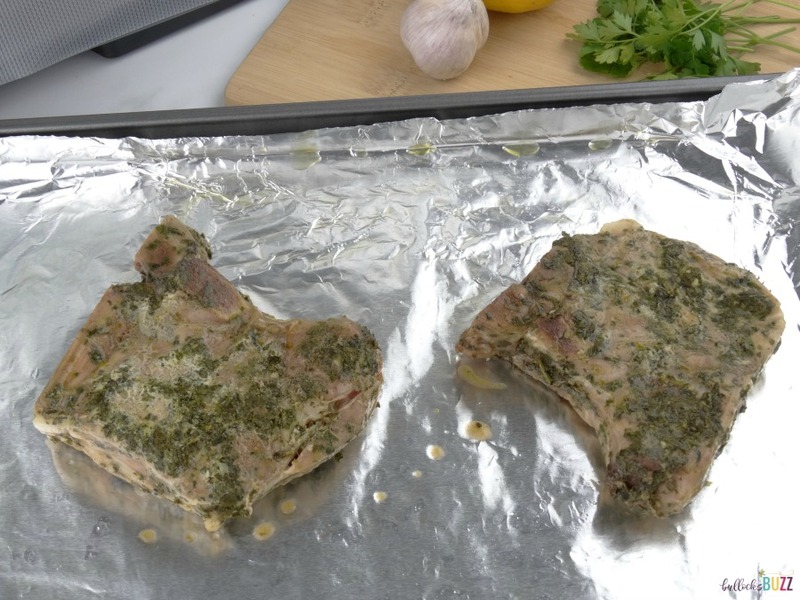 Remove the pork chops from the bag, place them on the baking sheet, and put into the oven. Broil for about 3-4 minutes per side to lightly brown and crisp the outside. Be sure to watch carefully, so they don’t burn! Although the sous-vide method works wonders with seafood and meats, it’s not just for proteins. With sous-vide you can cook everything from meats to vegetables to dessert. It’s a cooking technique that truly makes it easy to transform anything into a perfectly cooked, delicious meal. And remember, the FoodSaver® V4440 2-in-1 Automatic Vacuum Sealing System and FoodSaver® 3PK 11″ Vacuum Seal Rolls make it even easier! What would you like to cook using the sous-vide method?